My dream of finishing my car has come one step closer now. 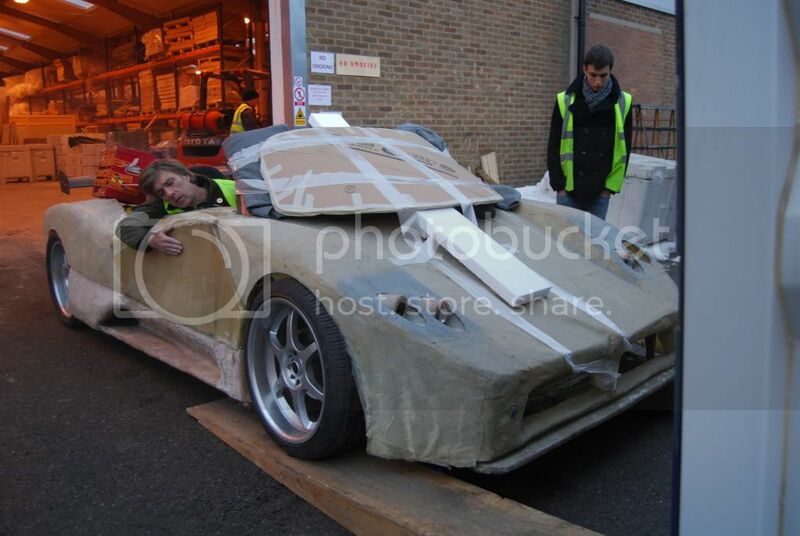 Last week I packed the car up and it is being shipped from the UK to me in Bahrain. I also bought an Elise screen which looks like it will do the job. I think it is going to be a major project to fit it a it is much narrower than the current XJS screen and a lot deeper. The plan is to get a bodyshop to make a decent body for it based on a cross between the zonda Cinque and the C12, I am still not sure whether I should keep it convertible or not. I am also having a new set of V12 headers and exhaust made, and thinking about going quad turbo, This would save me from having to change the existing t28 units which are a bit on the small size. Last edited by nicktruman; 01-02-2012 at 02:31 PM. Nice one fella, be good to see this one progress, have you been spurred on by seeing proto's body? Has to be an awesome thought running around in your own Zonda, my friend used to live in Bahrain and he said there are some great body places out there, and they were a lot cheaper than Blighty lol. I would have loved to have bought Proto's body but the cost of getting it to Bahrain was more than shipping the car here! So the fibreglass guys will start from scratch. I have seen some full size F1 cars they have made and the quality is awesome, no CNC machines just hand carved bucks. 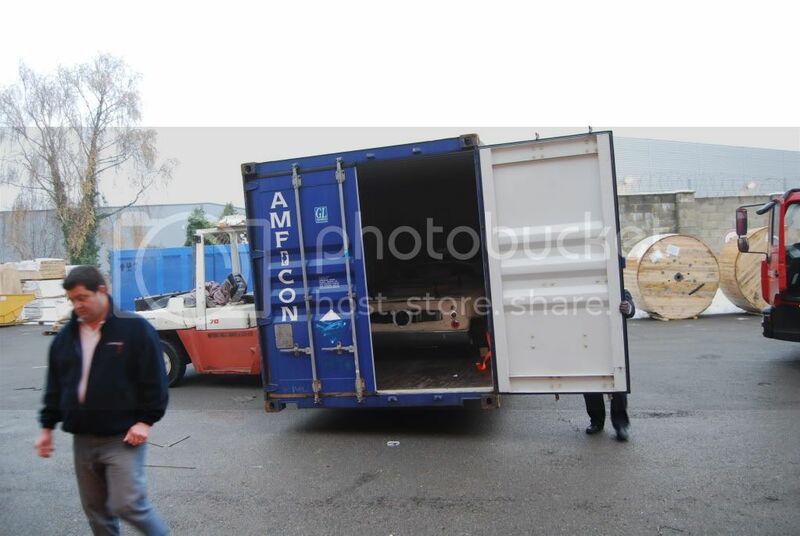 As you say labour is very cheap here so they can throw as many workers on the car as required and do it all by hand. I have two 1/16th scale cars, which they will use as patterns, I have noticed on my car that the windscreen is set too far back, so I will have to cut the frame out and start from scratch, the only issue there being that i can't afford to break the new screen, I went through a few XJS screens when I fitted that, but they are 2 a penny, the Elise screen was a bit more costly. 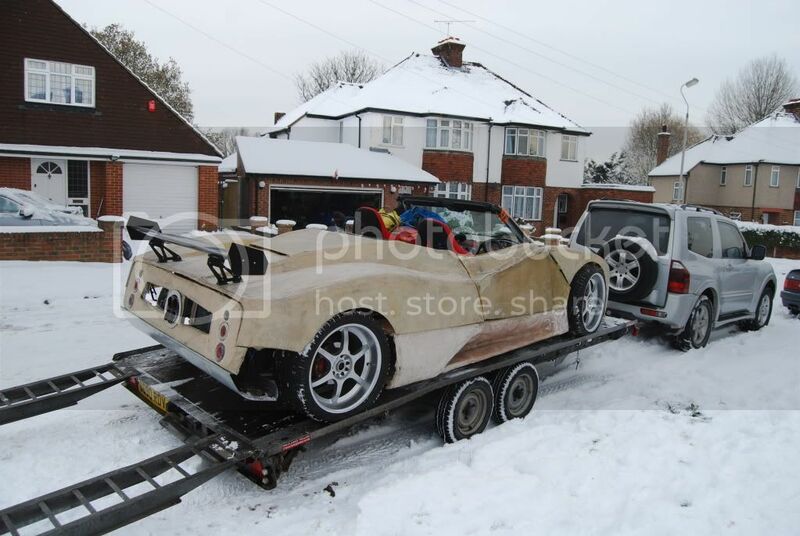 Sadly I fear the Zonda will never be a road car here, as it is right hand drive and self made, the Bahrain motor federation have registered it as a track car in order to get it through customs. Maybe when it is finished a friendly Shiekh will have a word with the Ministry of transport and pull few strings Then if it gets registered here it should be easier to get it on the road in the UK, not that I could ever afford to drive it in the UK! I used a gallon of fuel just getting it out of my garage and onto the container! At least in Bahrain fuel is cheap at 16p per litre i could afford to leave it running all day..
Cracking piece of kit keep us posted and the pictures coming how long till it reaches Bahrain ? Does anyone know what the best way to make a windscreen frame is? I need to make a mock up of the Elise screen somehow, and move my existing frame forward by 3 or 4 inches. The current frame is made of 1" tube steel covered in a peugeot convertible's windscreen frame which I cut up to fit the XJS screen. making that was hard enough even with the XJS's more or less straight contour. will you be offering a panel kit? great job! I had thought of it, but to be honest i just want to finish the car, its caused a certain amount of agro with the better half.. I will be selling the molds after it is finished though, as I have no intension of going through all this again! aha dont blame you! what car/donor would it fit?